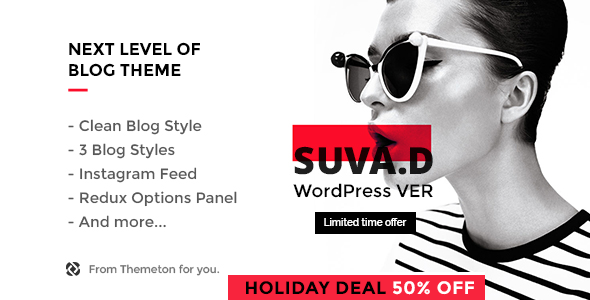 SUVAD has 3 main blog layouts that fit perfectly for blog owners. You can use them in a page both or separately. Our purpose is to bring eye catching easy reading blog template in psd category. Hope we did what we wanted to do. Template Features Clean u0026amp; Niche design Visual composer page builder Based on 1170px grid width and 12 columns layout Fully Customizable Easy to use and well documented Translation ready Included Pixel Perfect PSD files. Used fonts Montserrat Open Sans Note: All images are used just for demo purpose only and NOT included in the final purchase files. SUVAD has been tested with browsers IE11, Firefox, Safari, Opera, Chrome, Edge.